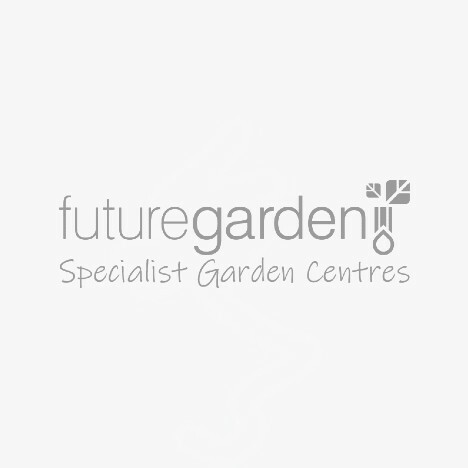 Whilst you’re trying to create a perfect environment for your plants, your plants provide the perfect environment for pathogenic bacteria and fungus. There are a number of preventative steps that can be used to prevent disease or treat cases that are in the early unprogressed stages, but if problems are too severe, they will often mean losses in the crop. Detect problems early to be able to react and give successful treatment in time. For more info on Disease Control and how to use it in your environment, read our buyers guide below. In a hydroponic setting, disease describes the various bacteria and fungus that can be detrimental to the crop - diseases are different from pests but both can have consequences for the long-term health of plants. Diseases are different to deficiencies but can sometimes manifest as deficiencies due to the disease messing with the plants metabolic processes and reducing is ability to uptake particular nutrients. While there are some products that can bring your plants back to health, ideally this would be avoided from the start. Many fungal and bacterial diseases can only colonise your plants in high humidity - so a proper environmental control throughout cycles can reduce the chance of disease settling on your plants. Air movement fans will stop micro-climates from forming as the air will be more mixed so the temperature and humidity should equalise throughout the entire space. Proper environmental control will also benefit your plant’s productivity as stale, CO2 depleted air around the leaves will be refreshed at a faster rate - so photosynthesis and transpiration can occur quicker which should present as quicker growing plants. A major source of spores of fungal disease is from outside the growing environment - growers can bring these spores in on their clothes shoes and hair. Many gardeners take preventative steps when visiting their garden, as having a shower and change of clothes will reduce the chances of spores entering the garden. Make sure you get a max/min thermometer to monitor the swings in temperature and humidity of your grow space between lights on and off - there can often be a massive increase in humidity just after lights off, which will condensate on anything cold - leading to increased moisture around dense plant structures like fruits and flowers; leading to the perfect environment for fungus as they have food and enough moisture to quickly breed. Consider running an oil-filled radiator or palma heater 10 minutes prior to lights-off to maintain temperature and a dehumidifier on a similar timer to sustain even humidity levels during the transition between lights on and off. Spraying anything on plants in flower is not recommended - moisture can become trapped in dense plant parts which can then become a source of infection; make sure plants are in their best health before flowering to reduce the chance of infection. Think of flower as a marathon and the vegetative stage as the training for the marathon; if an athlete isn’t ready they may have to sit out this event while they retrain for the next opportunity. Adverse conditions are easy to promote while fungal and bacterial infections are easy to contract. Keeping a clean room will contribute massively towards reducing the chances of contracting a disease. As with many things health related, prevention is better than a cure. Nutrient solutions that are too warm for prolonged periods of time are a cause of disease in the rootzone. Infections such as pythium and fusarium can become established in water hotter than 20°C, so it’s best to keep your solution in the 18 - 20°C window, which is perfect for the plant to be able to uptake all available nutrients whilst suppressing fungal and bacterial growth. In some Hydroponic systems you can look directly at the roots of plants so gardeners can check them for infections like root rot. In other systems, plant roots are hidden completely inside the substrate so the option for direct observation is harder. Roots should be healthy and white - If they’re brown or sludgy with an unpleasant odour, then there's probably a disease present and action should be taken. Many growers use beneficial fungus and bacteria to inoculate plant roots early in a plants life. Once colonized with friendly microorganisms, diseases like pythium find it much harder to colonize the rootzone. If your plants have recently been infected with any disease, we recommend a complete cleansing of your space and equipment with a disinfectant like liquid oxygen, silver bullet or a strong household bleach. If there's any mould or damp on the walls of your garden, use a stain blocker paint on the affected walls in-between crops to ensure the spores are not a recurring issue across cycles. Plants are extremely susceptible to a whole host of diseases, the identification and treatment will vary depending on the type of disease. Ideally gardeners would prevent disease from entering their indoor gardens in the first place and keeping a clean, sterile, environmentally optimised garden will go much of the way to reducing diseases within your space. If you’ve got more questions about Disease Control get in touch with our specialist team on 0800 085 7995 email us as we can advise you on the benefits of Disease Control and help you pick the best solution for your particular problem.